If you used the Google Play Store web portal today, you may have noticed that the UI looked a whole lot more like the Android app. 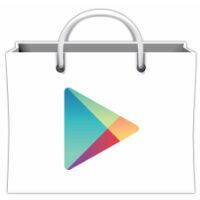 Google updated the UI of the web portal for the Play Store this evening, and put the word out around 7:30PM EST. The idea behind the redesign is to make it easier to discover new apps. You can see with the images below that the UI has been changed pretty dramatically, although we're not totally sure it's all for the better. The big downside that we see with the redesign is that there is a lot of wasted space. As you can see in the first screenshot, when you add in the Chrome tabs, omnibar, and bookmark bar to the Play Store which uses quite a bit of the header for the search bar, you are getting only about half of your screen real estate for the app listings, and those have even more free space between listings and details. Overall, it just leads to more scrolling, but that's not so terrible. Screenshot images have been made larger, and the navigation tools on the left have been made dynamic so the options will change when you go to the various sections of the store. Best of all, the wishlist feature that has been in the Android version of the store for a while now has finally made it to the web, at least partially. You can add items to your wishlist, but you can't remove items, and the only way to get to your wishlist is with a link on the main page of the store, so you have to back out to get at that. As we said, lots of changes, but maybe not all for the best. But, given how quickly Google iterates, we're sure that our various issues will be sorted out soon enough. Google should iron out the kinks and bugs before they force a major change like that onto users. Look at how much space is left. They certainly can do much better than that. That's not adding in some of the other issues the article refers to. I agree. They should have done a better job of using more space. This is almost as bad as iTunes 11. That thing is a mess! I use to love making CD's because of how easy it was to drag and drop. But now it's just a pain. I don't see what iTunes has to do with anything in the article. A reference to iTunes in an android article. Looks more like a cheap potshot. Can't you guys just ignore this hurt arse, you all know he craves for nothing but attention? Paranoid much? I agreed with you, and just stated a similar experience I had with itunes 11. What's wrong with that? Thats where I go to get apps for my ipad. See the parallels yet? "See the [parallels] yet?" Oh no, he hinted at an app created by a third-party for an Apple operating system! Curb-stomping time. He was just comparing it with another bad redesign. Cool down, it's a relevant comparison. Bad do! When I click My Apps, it just stuck there for quite sometimes before appear! Wasted space isn't nearly as bad as the article makes out, the upper left boxes stay in place when you scroll so it's not like the entire screen is being wasted. Other than that, it's more unification of their ecosystem, no complaints here.